But is one of the best lights in the Kenyan market. We had a blackout last night. With the rains here, it was only a matter of time before the blackouts came for this particular area of Mombasa Road. We don't even bother with finding out what causes the blackouts - but in case you are interested, this one here was caused by a fallen concrete pole. Wooden poles have the habit of rotting and falling over when it rains if they are not replaced in time. Concrete poles suffer from rotten installation, or from a fast changing Nairobi where roads and whole neighbourhoods are dug up for road and building construction. But that's not why I am writing this story. Our lights returned at about 11 pm. The girls attending the party upstairs announced the return of the lights with concerted screaming. The lights, however, did not really return. A "missing phase" meant the lights were flickering on and off, as if dancing to the music in the party. This was especially true for half the apartment residents here. The other half had to do with enough power to light their lights and power the electronic devices that enslave us, but not enough lights to heat anything. That's neither why I am writing this story, but for once, I'm building on the foundation of the story. It was only till the afternoon that this lady who is my neighbour send me an instant WhatsApp message. Our caretaker has saved her number under the name "mrembo". For all instances underneath, I shall take the cue of our caretaker and refer to her as "Mrembo". I, however, state, under oath, that I'm in no capacity to advise to what extent the name suits her. Mrembo asked if I had power in my house. Turns out that she had been in the dark since the previous night, despite it being a new day, with a bright, shining, sun. Power had stabilised for the rest of us in the morning. A while later, on the way to my barbershop, I met with Mrembo carrying an emergency light. I winced. She had spent a cool KSh. 3,000 buying a light, whose purpose is to store charge, then give light when Kenya Power temporarily re-brand to a plain "Kenya". Having been one of the belligerents in the Great Coffee Sachet war of Twitter in Kenya (2015), I had come away with the lesson not to point out when people have invested in a sub-par product. By innocently pointing out a better value-for-money option, you are more likely to elicit an emotional outrage rather than the intended logical point. I don't blame Kenyans for being hoodwinked into parting with their hard-earned cash in exchange for a poorly suited product. One of the biggest reasons why this happens is insufficient information. 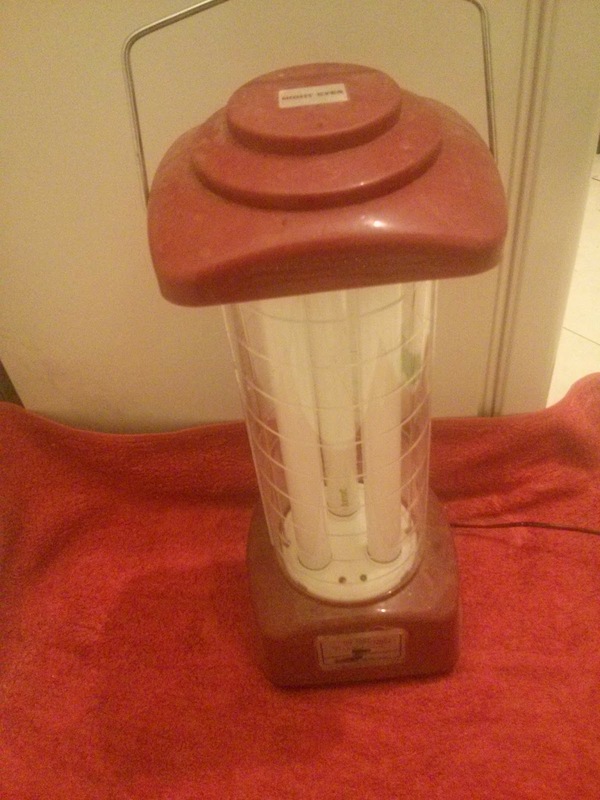 I once owned an emergency light such as the one Mrembo had bought, but a different brand. The bloody thing was a light, but it underestimated the emergency bit. See, yesterday was Earthour. The average blackout here outlasts Earthour by 5 or more hours. The bloody thing would only perform for about 2 hours - about 1.5 hours longer than Davido does. It doesn't help the bloody thing will become electronic waste in less than an year. Now, Kenyans are notorious for buying cheap things at the expense of quality. What you may not know is that Kenyans are also sometimes misled to spend a lot of money on stuff that really doesn't meet their needs - like bloody emergency lights. For KSh. 700, stalls around River Road will sell you an emergency LED light that will make many men envious by its ability to go the whole night, and some. This is the same light that many Mama Mbogas and other stalls rely on for a pseudo-24 hour economy (Die Kalonzo Musyoka, Die). If we were observant, we would have realised that the Mama Mboga is unlikely to rely on a rechargeable light that can't last more than a couple of hours, and hence would have adopted these lights instead (see what I did there? No? Okay :-(). There's however, the possibility, that, Mama Mboga buys a cheap light and often replaces it because it is cheap. (I have tried as much as possible to restrict my over-use of the word "however"). That's the typical way that Kenyans approach high ticket items. Luckily, that is not the case here. Getting to the purpose of writing this post - I am sorry I make so many stops and wavy detours like a matatu - I believe that Kenyans will continue suffering from an information deficit when it comes to making purchase decisions. A dusty, yet-to-be-disposed, typical KSh. 3,000 light. however cannot hold a candle to it's name. While the lack of information has been a problem for a long time, the rise of blogs in the late 2000s was proving to be a remedy. This has however been reversed in the last few years. Once regular and prominent bloggers are too busy with their day to day work, while new and upcoming bloggers do not fill their spots. New bloggers are approached by corporates (or people like the author of this blog who do publicity for corporates). In exchange for their influence and wider readership, the bloggers will take cash to write dazzling reviews. The Kenyan blogsphere (who remembers this phrase?) can now be described as "where's there's a review, there's money". Thus, the average Kenyan no longer has a fair account of what they are looking to buy, but are instead led to where the blogger's bread is buttered. The bloggers are now called influencers, and if they are writing a negative review, they are probably paid by the competition. A positive review, is probably paid for too. A missing review, is unpaid for. The average Kenyan thus buys a hyped product, and believes that it will work for them. If there is no hype, they stick with a once trusted brand , like Mrembo (My nasty experience was with a different brand, but a similar light). Luckily, Mama Mboga cannot afford bundles, and relies on word of mouth for her purchases, or trial and error. At the end of the day, if a brand is neither cheap enough for Mama Mboga, or paying to appear in "influencer blogs", no one ends up knowing about it. Like a bloody light, the system is broken. It can be fixed, but the easier way is paying influencers - fixing it can only be done by the same influencers. 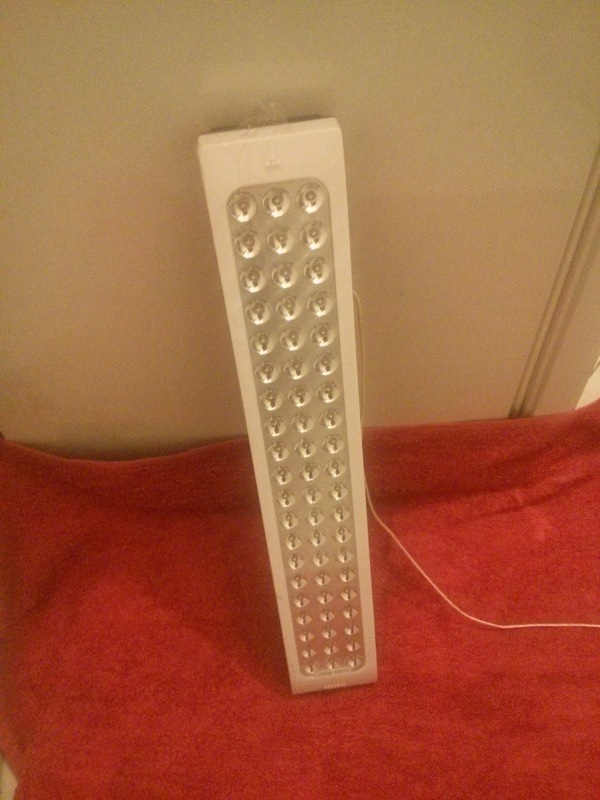 If you need an emergency light in Nairobi, get one around Luthuli Avenue/River Road Junction, for not more than KSh. 700. If you need influencers talking about your brand, talk to me. The author sampled a bottle of Guinness as he wrote this post. Friends do not let friends or people they love drink and drive, neither do they let them drink bad beer, whatsoever the reason. Have a Guinness today (or a Peroni or a Castle Milk Stout). More than moderate use of alcohol may damage your liver and kidneys. Alcohol addiction will cause socioeconomic problems. If suffering from socioeconomic issues/alcohol overuse, seek help from your nearest drug abuse association.